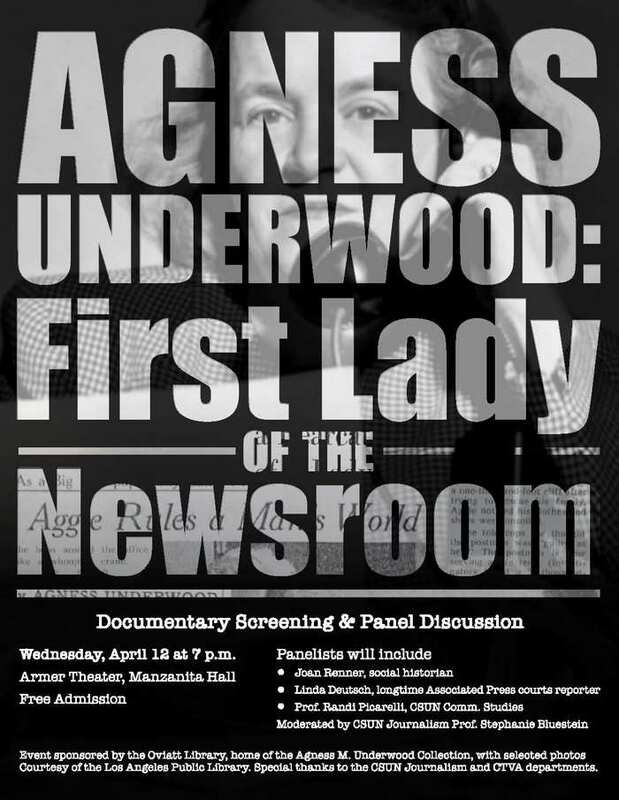 Please join Prof. Stephanie Bluestein, Linda Deutsch, Prof. Randi Picarelli, and me for the screening of a documentary and panel discussion on one of my favorite topics, newspaperwoman Aggie Underwood. This entry was posted in Event and tagged Agness "Aggie" Underwood, Armer Theater, CSUN, Linda Deutsch, Manzanita Hall, Oviatt Library, Randi Picarelli, Stephanie Bluestein by Deranged. Bookmark the permalink. Please let us know when this is showing again. Unfortunately I missed it. film in journalism classes. If it does come up again I’ll definitely publicize it.